The Bland family decided to allow the public to “share in the celebration” of the singer’s life by streaming the services live. It was not one, but a multitude of Bobby “Blue” Blands’ who were hailed and mourned during the funeral services at First Baptist on Thursday.To some, he was the “pearl of the blues world”; others, a singer whose artistry was not limited by any single genre or form, but always a man with an abundance of charisma. Bland was remembered as a devoted husband, father and grandfather, but most of all a good friend;to those whom he knew and loved him. 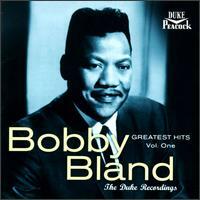 “Even though Bobby Bland is gone, you still can experience that spirit by just listening to his recorded music. You will experience the spirit, the care and love, the power and the glory.” In attendence at the services were, local politicos who also paid their respects, with former Congressman Harold Ford Sr. and Shelby County Mayor, Mark Luttrell among those paying homage. Fellow musicians, including Stax songwriter David Porter, also shared personal insights. Porter told how he and his partner Isaac Hayes included a winking tribute in their classic 1967 hit “Soul Man”, by having Sam & Dave singer Sam Moore do a couple of Bland’s signature vocal “squalls” on the track. The eulogy, delivered by pastor Keith Norman, closed a program filled with music, including recordings of Bland’s own work, as well as rousing performances by gospel vocalist Deborah Manning-Thomas, Stax star Shirley Brown and Chicago soul singer and Hi Records artist Otis Clay. 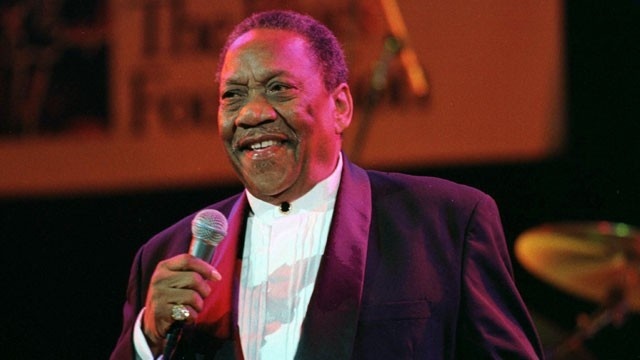 Robert Bobby “Blue” Bland was buried at Memorial Park Cemetery in Memephis Tenn.